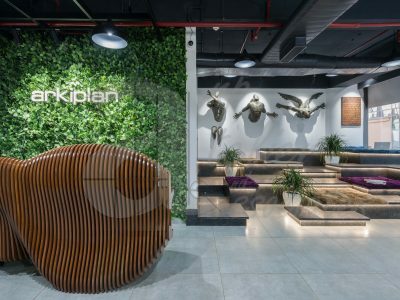 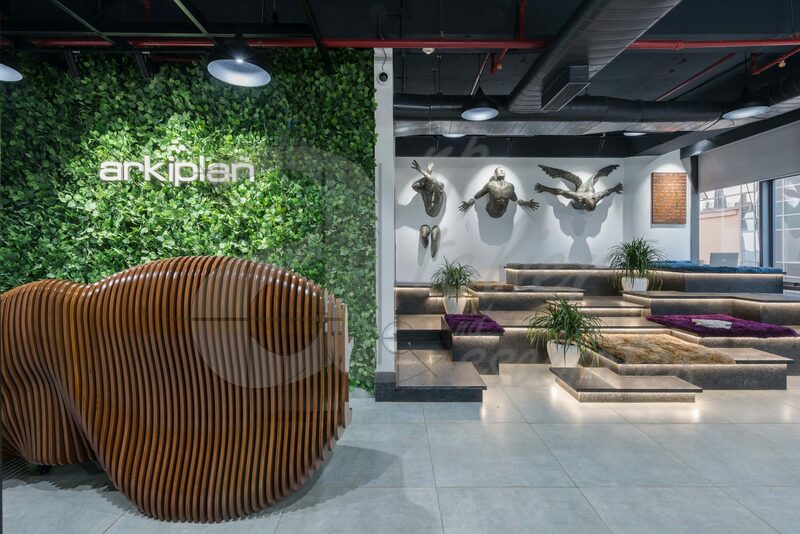 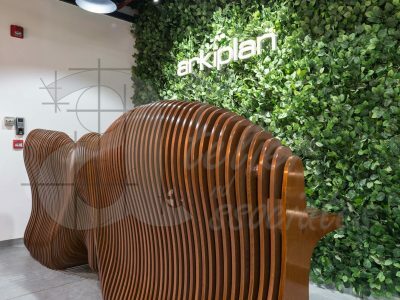 Based on applications of the Internet of Things, Arkiplan’s swanky new ‘self-learning office’ is a legitimate example of what an intelligent use of the modern day technology looks and feels like. 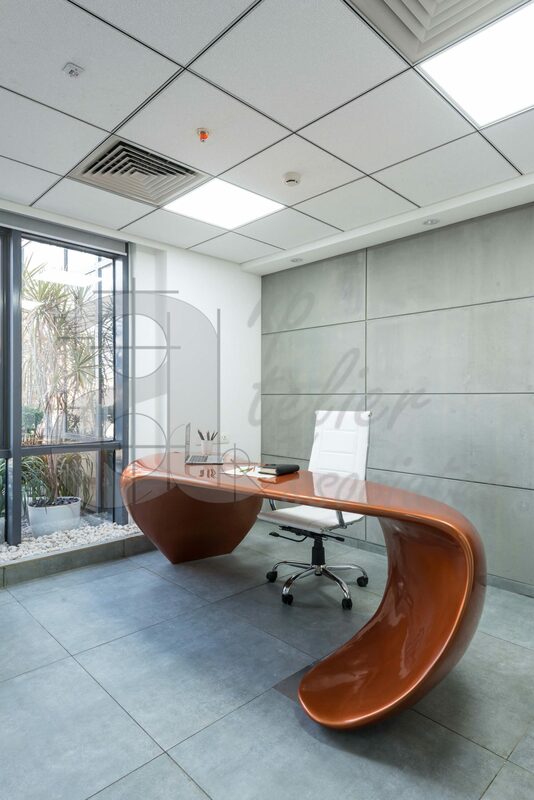 There are different punctual elements that come together to enliven the great working space. 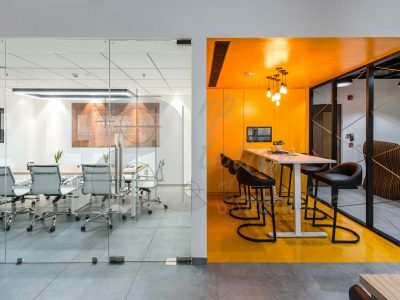 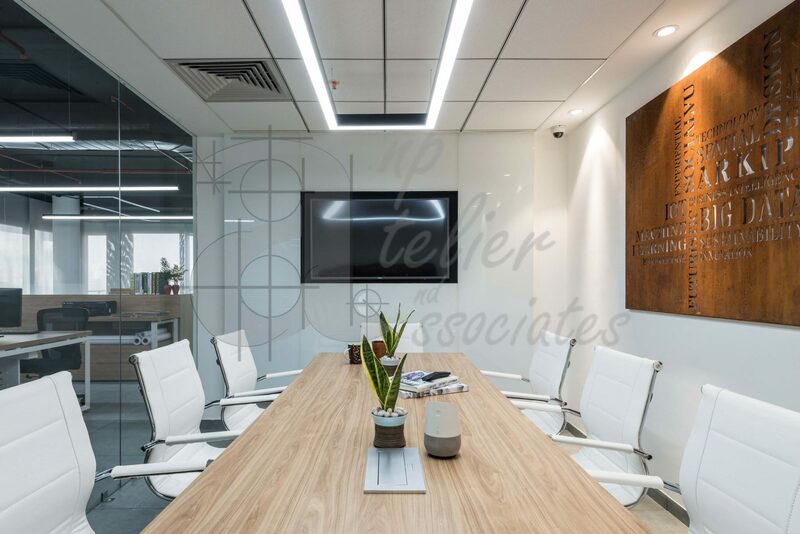 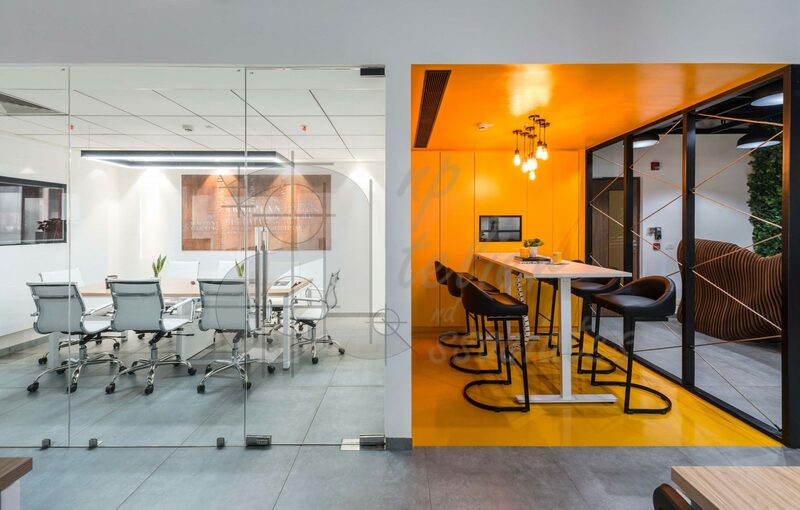 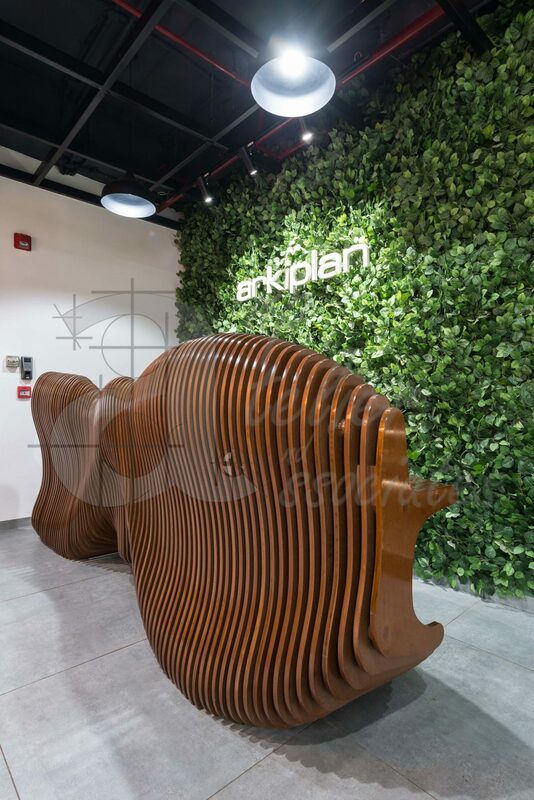 The office opens up to a reception donned by a magnificent parametric table with the backdrop of a stunning green wall and faces a semi-formal meeting room in the tones of warm yellow. 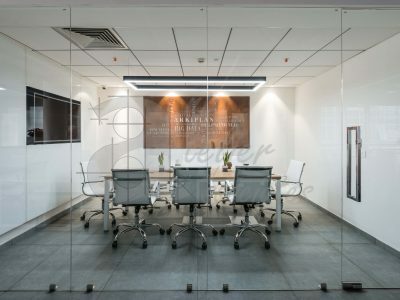 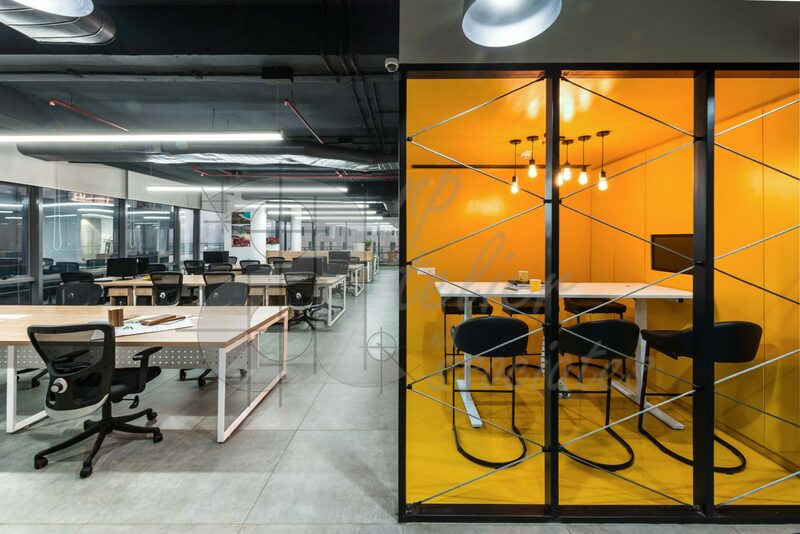 Rather than confronting the open reception with the closed meeting room, a complementary, coherent whole has been created with a sleek divider. 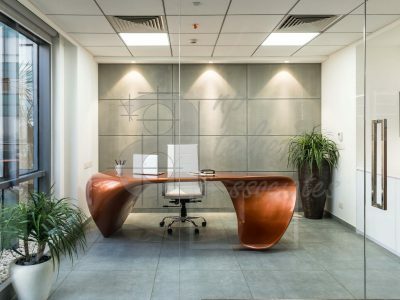 The formal meeting room, on the other hand, is home to a corten steel word cloud that spells the verticals that the company functions in. 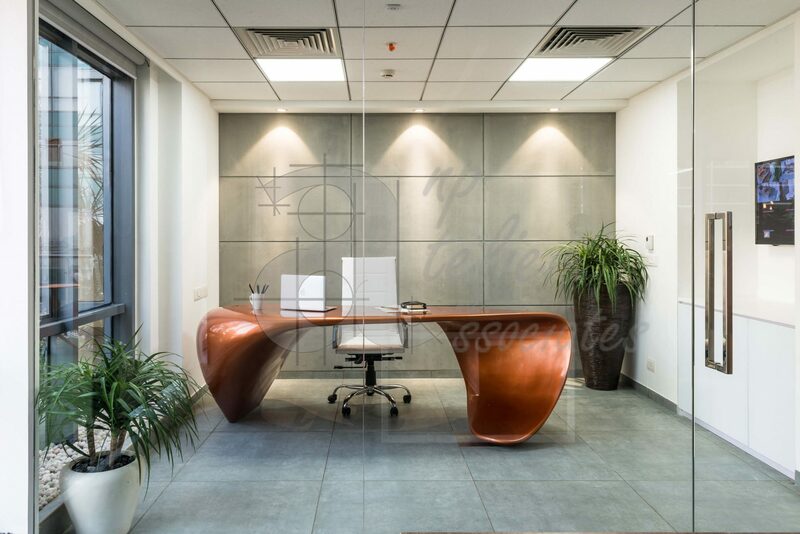 The weathered steel word cloud and the sleek glass space come together to break the norms of the conventional and present a dynamic chemistry. 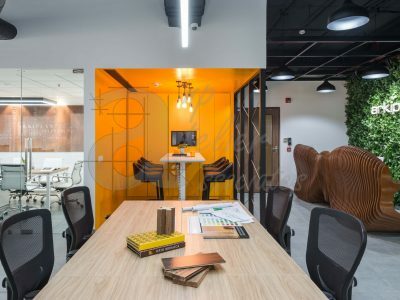 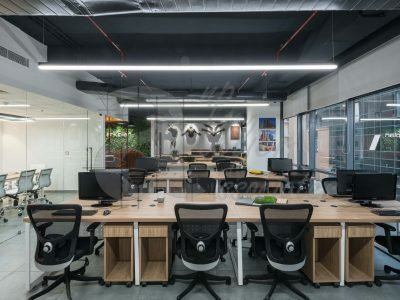 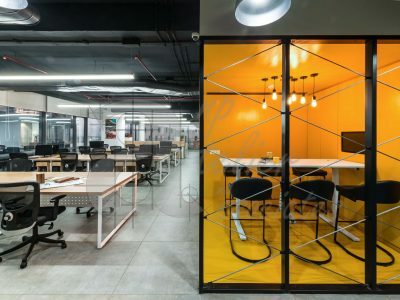 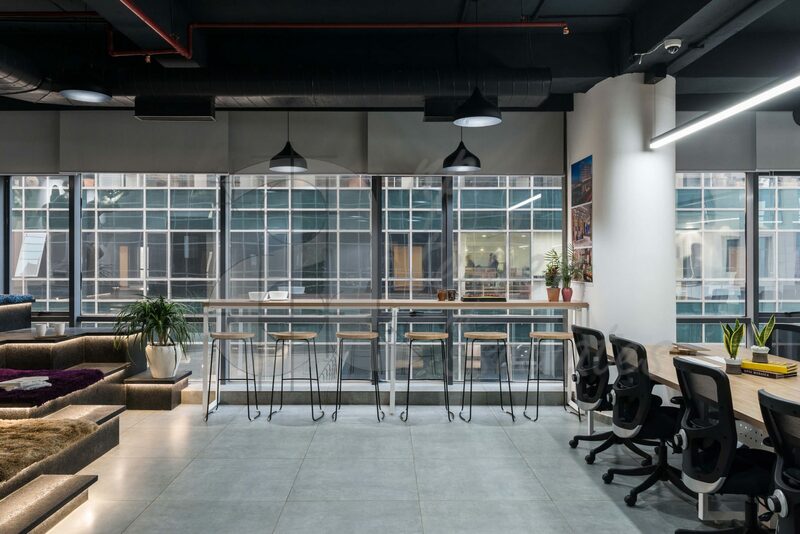 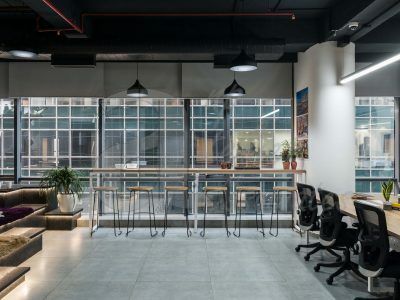 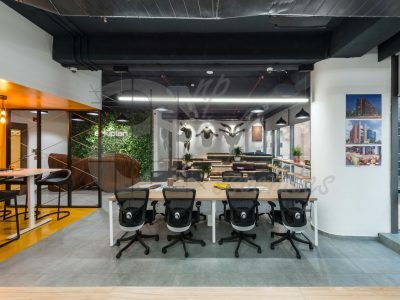 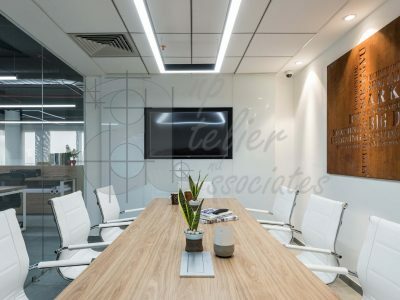 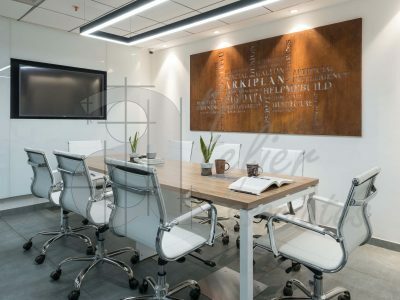 The office follows an open plan layout to foster communication among the staff and seeks to create engagement through design and design through engagement. 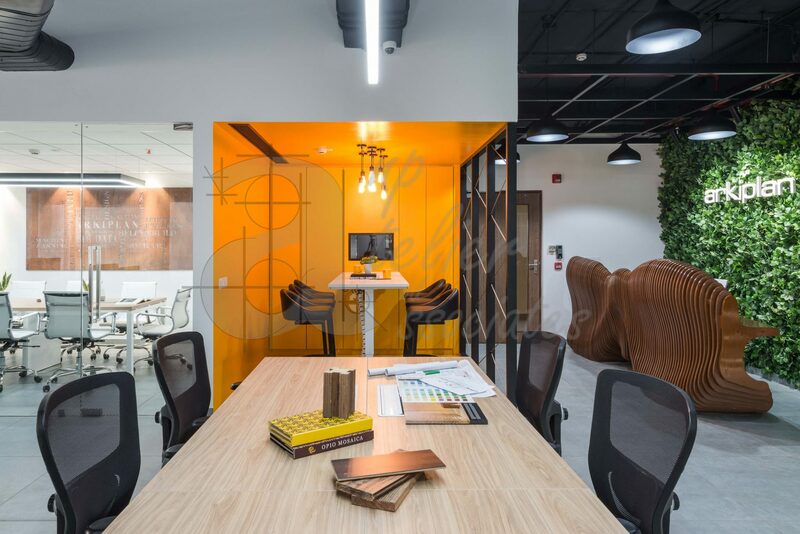 With the open floor plan comes the responsibility of creating breakout areas where people can get a few moments of quiet or concentrate. 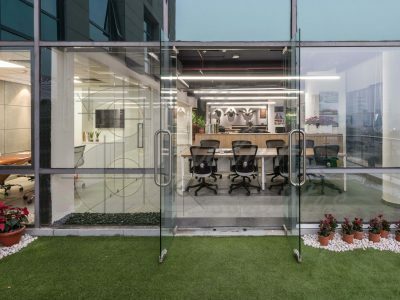 It has been efficiently catered to with several different quiet spaces. 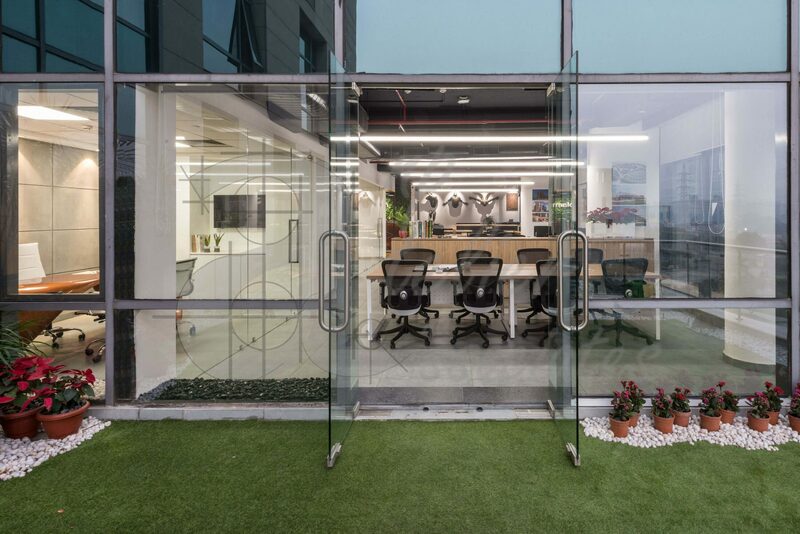 A stepped seating in leather finish granite provides the opportunities for spontaneous conversations and a creative setting for casual recreation and refreshment. 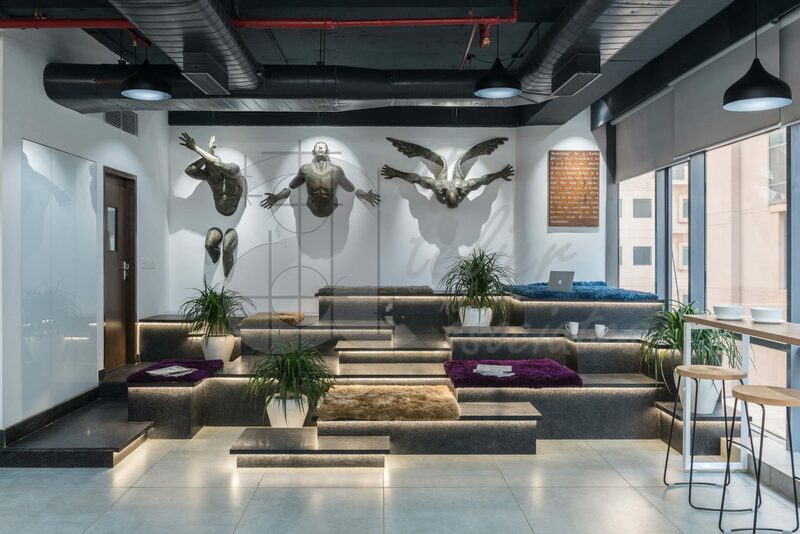 The steps look upon a wall of human-sized sculptures based on the theme of ‘Resurgam’, which translates to I shall rise again. 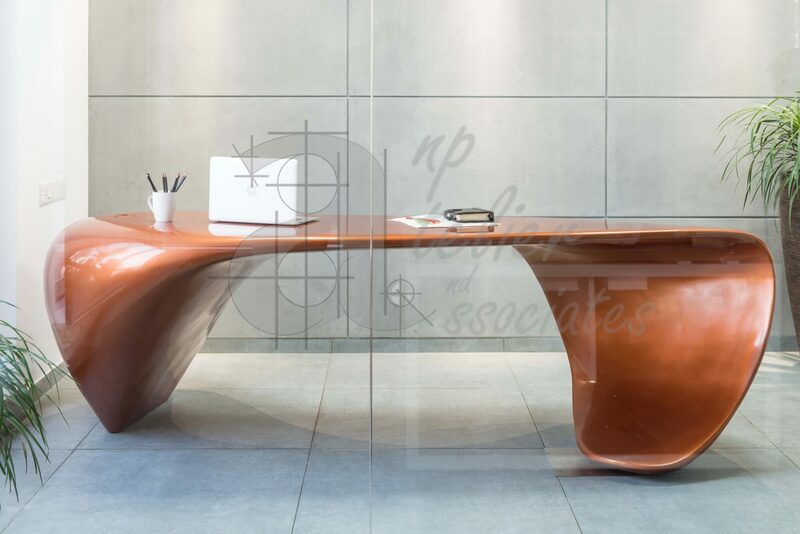 It inspires people to look beyond their current struggles in the hopes of a blissful tomorrow and future. 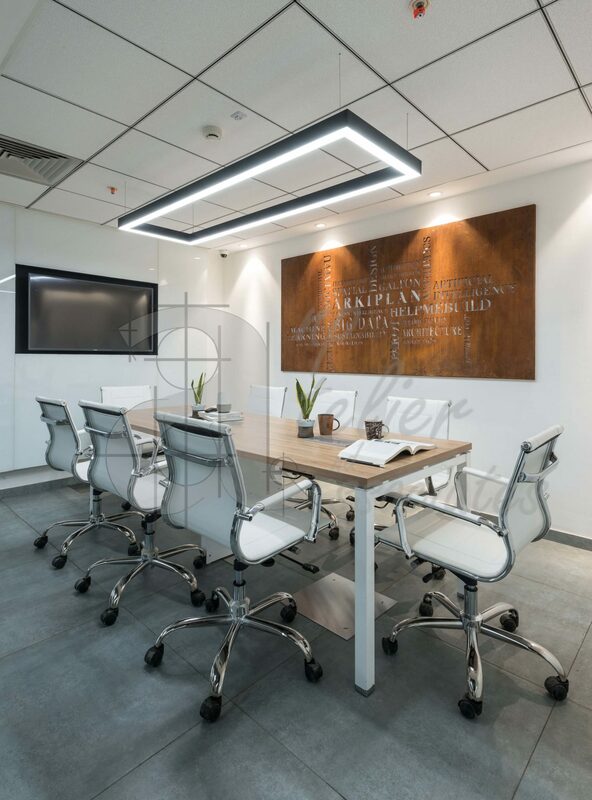 A separate breakout area with a tall table and chairs is apt for discussions as it keeps people moving around. 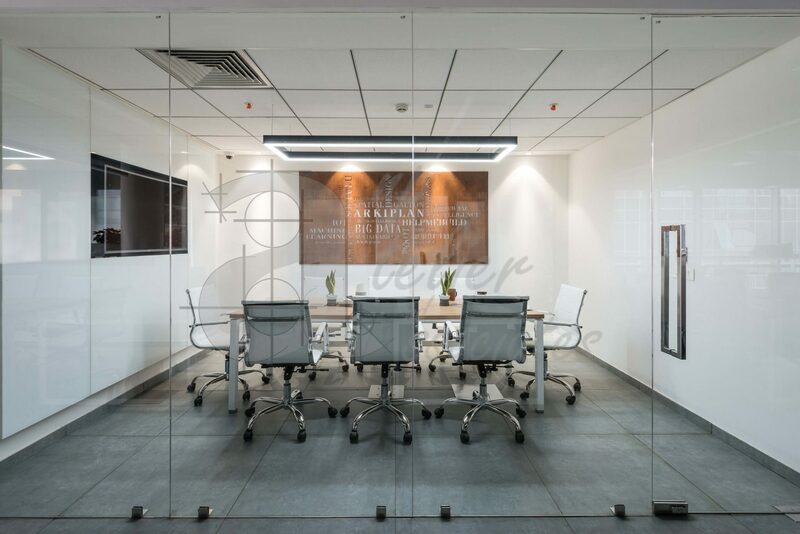 The inclusion of various elements like wood, glass and marble effectively divide the open space while maintaining harmony among themselves. 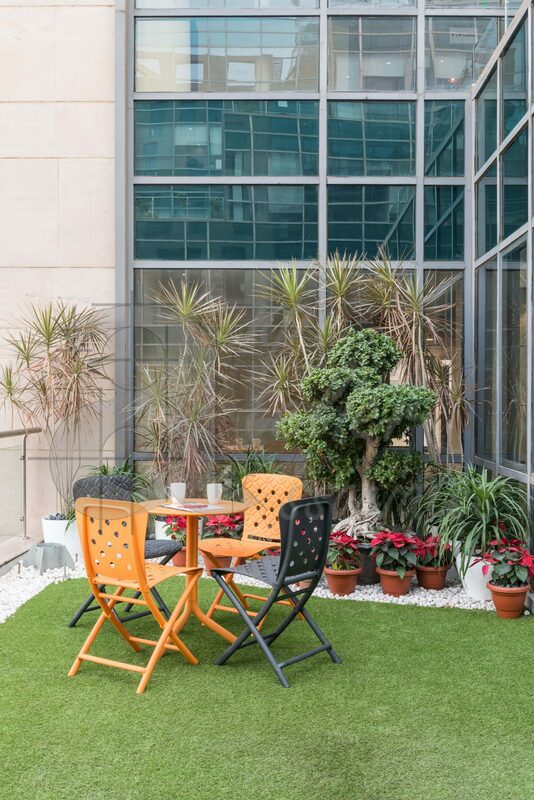 which includes a 5 ft high bonsai. 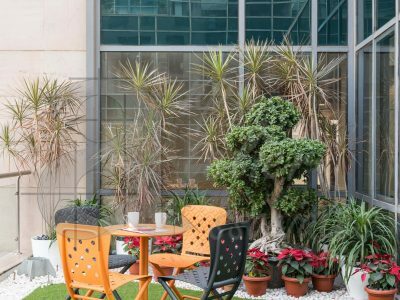 A continuous view from the interiors to the garden and from the garden to the city ensures that there’s always plenty to look around. 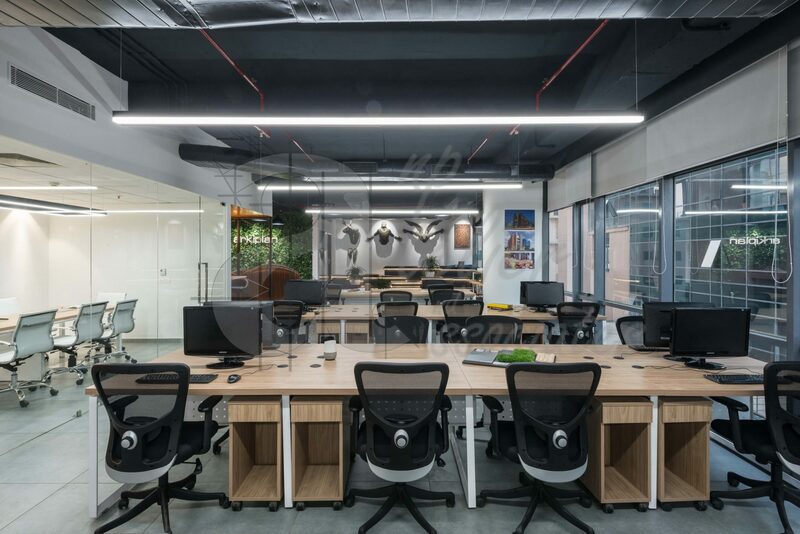 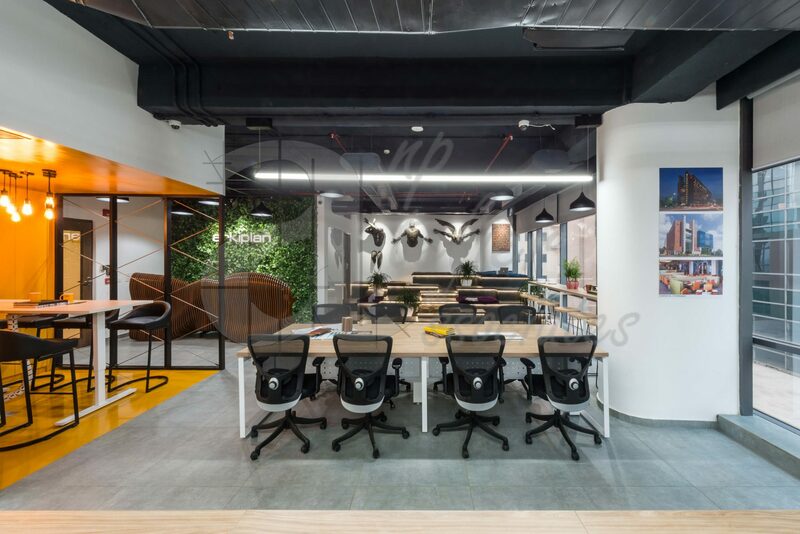 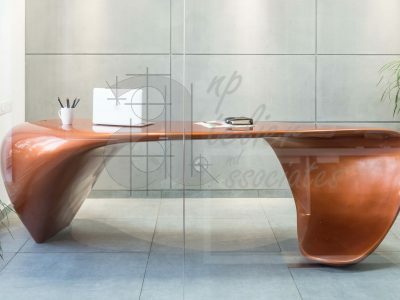 The amalgamation of form and fluidity, formal and informal and open and closed creates a symbiotic balance between work and recreation inside the office premises.